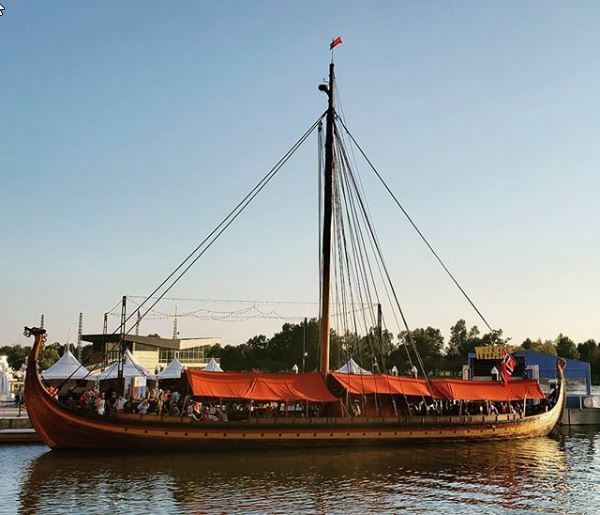 Draken Haral Hårfagre, a Norwegian Viking ship, has docked in Washington, D.C. and is open for tours at The Wharf’s Transit Piera waterfront on October 5-15. “We have taken Washington, without any warfare,” Sigurd Aase, the owner of the ship, said. Aase expects visitors to be inspired by the ship, making them curious to know more about Vikings and Scandinavia. “Draken will allow guests to marvel at this stunning Viking ship and interact with the crew as they share their personal experiences of thrill, fear, and exhilaration while enduring the ship’s 2016 transatlantic crossing – reliving the Viking discovery of the New World more than 1,000 years ago,” the site notes. Aase said when he was yound, he would daydream to take the ship on tours. “In my opinion, everyone should try to realize one or a few of their daydreams. Small or big, it doesn’t matter,” he noted. The deck tour ticket price for adults is $12 and $6 for kids. For a family of two adults and three kids, the tickets cost $30.